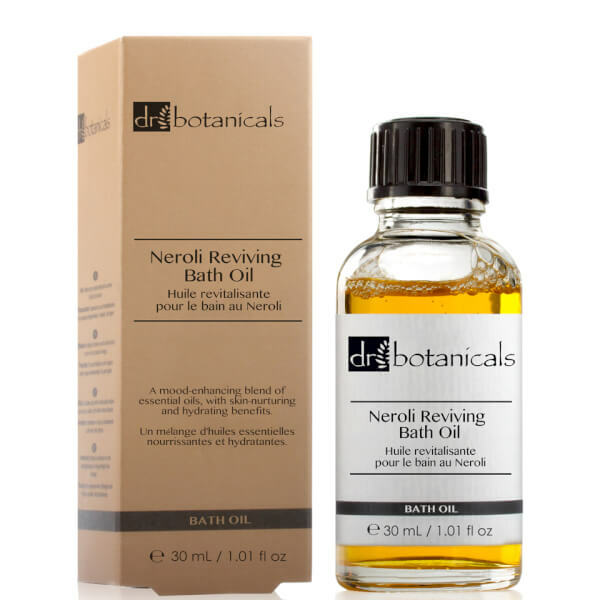 The Neroli Reviving Bath Oil from Dr Botanicals is an aromatic blend of essential oils brimming with minerals and vitamins, working to pamper skin and boost your mood as you bathe. Created using only the finest natural extracts, the main ingredient of Neroli Oil boasts an uplifting fragrance that helps relieve anxiety and stress, whilst Sweet Almond Oil soothes and moisturises skin. With Jojoba Oil adding intense hydration, simply add a few drops to your bath and unwind. 100% Natural. Free from parabens and preservatives. No animal testing.